Missouri House leaders will now attempt to get rid of the state’s presidential primary and replace it with party caucuses. A similar move fell short in the Missouri Senate. Some Senate Republicans tried and failed Monday night to swap out the bill to move the primary from February to March with one that would have replaced it with caucuses. Speaker Pro-tem Shane Schoeller (R, Willard) has filed a new bill in the House that would do the same thing. 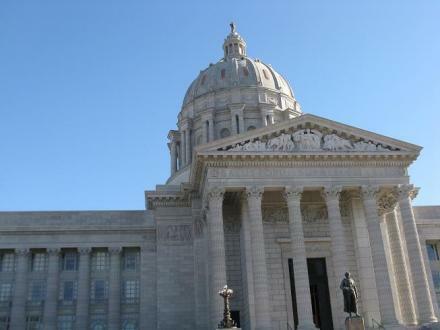 The Missouri House has passed its version of a wide-ranging tax credit bill. It does not place expiration dates, or sunsets, on historic preservation and low income housing tax credits, as demanded by the Senate. Instead, House GOP leaders hope to mollify the Senate with a new proposal: All tax credit programs would come up for review every four years and be subject to a renewal vote by the General Assembly. The measure is sponsored by House Budget Chairman Ryan Silvey (R, Kansas City). 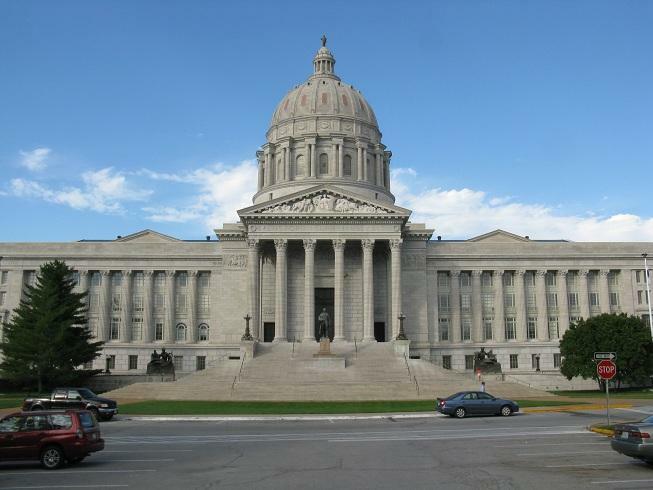 A Missouri House committee has advanced legislation offering new incentives for some businesses and international exporters. The vote Wednesday by the House Economic Development Committee could pave the way for the full chamber to debate the bill Thursday. 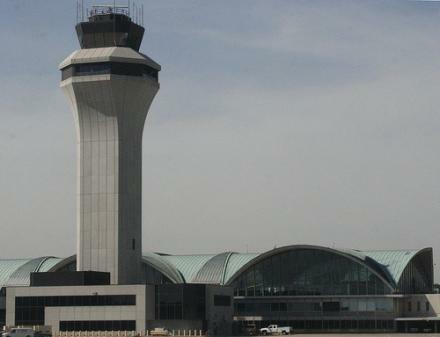 The plan creates incentives for computer data centers, amateur sports events and air cargo exports at the St. Louis airport. It also scales back some existing tax credits, but not as much as proposed under a version passed last month by the Senate. 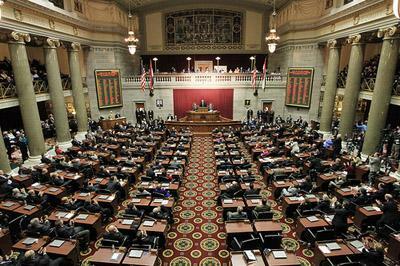 Missouri House leaders have confirmed they’re returning to Jefferson City next week to resume the special legislative session -- but their return doesn’t mean that there’s been any breakthrough on an economic development deal. The special session ground to a halt last week because House and Senate leaders could not agree on whether to place expiration dates, or sunsets, on historic preservation and low-income housing tax credits, or on how much oversight Governor Jay Nixon’s (D) Economic Development department should have over some incentives. Lawmakers have left Jefferson City and are not scheduled to return, even though the special session is still officially underway. House and Senate leaders are still at odds over a wide-ranging tax credit bill. 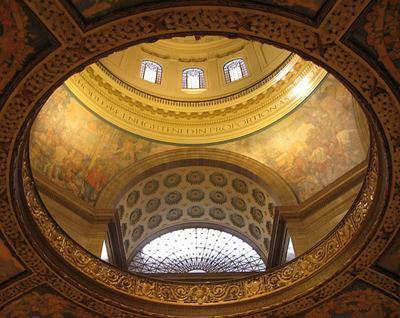 The only legislative action so far this week was Monday’s technical session in the Missouri Senate, in which two Senators gaveled the chamber in, took no action, then gaveled out about a minute later. The House is scheduled to hold a similarly brief session on Thursday. the special session going in case a compromise can be reached later. A state commission charged with drawing new Missouri House districts cannot agree on a new map and is wrapping up its work. The 18-member commission on Friday voted to conclude its business and authorized its chairman and vice chairwoman to sign the paperwork needed to discharge the commission. That will mean responsibility for drawing new House districts will fall to a panel of appeals court judges. A newly created House committee will examine whether a special legislative session is needed to assist in the recovery from a deadly tornado in Joplin and flooding in southeastern Missouri. The House Interim Committee on Disaster Recovery was to make its recommendation by the end of July. The committee also was tasked with examining long-term recovery strategies and ways for Missouri to be better prepared for future natural disasters. A report with those findings was to be submitted by the end of the year. 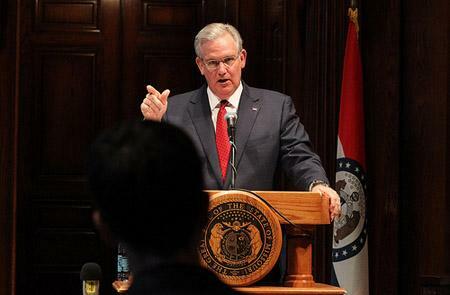 Now that the dust has settled on a rather contentious 2011 legislative session, Missouri Governor Jay Nixon is denying reports that he’s about to call a special session to deal with unresolved issues. The two most glaring are the Aerotropolis proposal and a major overhaul of the state’s tax credit system, and those bills were just a few examples of the contentious issues that lawmakers had to wrestle with this year. Legislation lowering the minimum age for getting concealed gun permits in Missouri heads to the governor's desk. Lawmakers gave final approval Friday to the bill reducing the minimum age to 21 from the current 23. Missouri enacted its concealed-carry law in 2003 after legislators overrode a veto by then-Gov. Bob Holden. The National Rifle Association says no other state with a concealed-carry law sets the minimum age at 23. A key lawmaker involved in negotiating an overhaul of Missouri's tax incentives says its prospects for passage appear "dismal" on the final day of the legislative session. The Missouri House has given final passage to legislation that would require some Missourians on public assistance to undergo drug testing. Under the bill, work-eligible recipients of the state’s Temporary Assistance to Needy Families (TANF) program would lose that assistance for three years if they test positive for drug use or refuse to take a drug test. The 2011 Mo. legislative session: what's left in its last week? 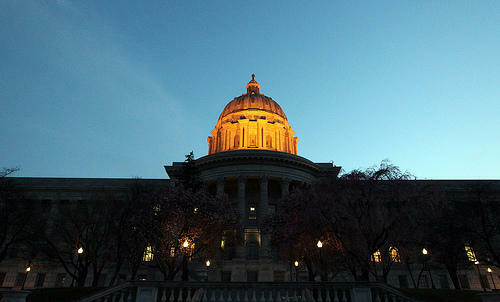 The last week of the 2011 Missouri legislative session has arrived. Some major issues have already been resolved. Lawmakers have passed the state budget, forced changes to dog breeding regulations in Proposition B and overridden the governor’s veto of the state’s congressional redistricting map - but there are still plenty of issues waiting for action. The Missouri House has voted to override Governor Jay Nixon's (D) veto on a proposal to redraw the state's congressional districts. The House overrode the veto today by a vote of 109-44. Overriding the veto required a two-thirds majority. A proposed constitutional amendment that would require Missouri voters to show photo identification at the polls has passed the Missouri House. The resolution’s sponsor, State Representative Stanley Cox (R, Sedalia), argued that a photo ID is a better method of identification that a utility bill, which is allowed under current law. 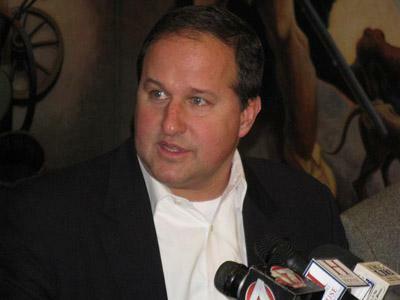 Missouri lawmakers have sent Gov. Jay Nixon a new version of a bill rewriting a voter-approved law on dog-breeding. Wednesday's quick action by the state House and Senate came after Nixon began the day by signing a previously passed bill repealing key sections of the "Puppy Mill Cruelty Prevention Act" approved by voters last November. 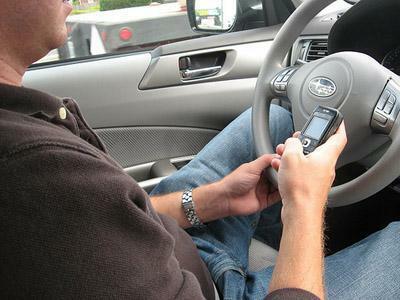 The Missouri House has passed a bill that includes language banning texting while driving for motorists of all ages. Current law only bans texting while driving for those age 21 and younger. 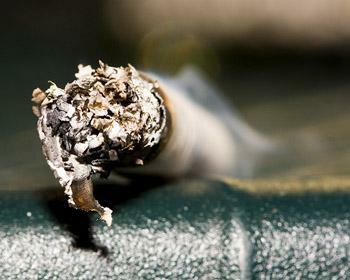 A Missouri House member wants to ask voters to raise the state cigarette tax by 81 cents a pack. Democrat Chris Kelly, of Columbia, outlined his plan Thursday to a House committee. He's proposing a future statewide vote on whether to raise Missouri's current 17-cent tax - the lowest in the nation - to 98 cents per pack. Kelly says the increase could generate $425 million in state revenue, discourage people from smoking and bring down state health care costs. For the second time this week, the Missouri House has taken a day off from floor action. And once again, it’s tied to the struggle between the House and Senate over congressional redistricting.